← Craft Beer Gift Guide! Hello, and welcome to 2015! First off, 2014 was great. MBEC had a fantastic year full of new customers, fun with existing customers, product updates, and all around craft beer adventures. We can’t thank everyone enough for being so fabulous and supportive, we appreciate everyone and all who were apart of the amazing journey that was 2014. But let’s not look back, let us look forward! 2015 is off and running (all be it a freezing trot) and what a better time for New Year goals and resolutions? Now, there are your standard resolutions of working out more and cutting back on the sweets, but those, although a good idea, aren’t particularly fun, am I right? Why not make a fun list of resolutions you want to complete, and there are a lot of great resolutions to make as a beer lover. So let’s kick off 2015 right, and with a bang! Adding any of these resolutions to your list will be sure to make 2015 a great year. 1) Host a craft beer party, head to your local liquor store or brewery and grab some great craft beer, invite some of your raddest friends, and enjoy! Simple as that, and sure to be both a fun and delicious time. 2) Introduce someone to craft beer, because everyone needs to experience the greatness that is craft beer! 3) Attend a craft beer festival or event, all beer lovers need to go to one at some point, so why not this year! There are amazing craft beer festivals going on year round all across the US. Check local listings for beer events, or head to the fabulous Craft Beer Events page to plan! 5) Try a new beer every month, there are an unbelievable amount of delicious beers out there, branch out and try a new beer every month and by the end of the year you will have tried 12 new ones! 6) Take a brewery tour, whether you have been on several, or a newbie, head to a brewery and take a tour. They are always fun, always informative, and always get a taste of their beers at the end of the tour – complete package! 7) Plan a beer trip, no matter where you live there is good beer around, but what about elsewhere? Both within the US and around the world there are some great places to check out beer, so plan a trip to check them out! Can be headed to a famous beer bar, or a brewery you love, a great way to combine traveling with your love of beer. 8) Read a beer book, could be to learn more about beer making, to learn new recipes, or just to learn more about beer, a book is a great way to expand your love and knowledge of beer. 9) Give the gift of beer, because who doesn’t love to get a tastey beer? Plus it spread the love of great beer! 10) Make beer, what better way to flex your beer love muscles that making your own! If you’ve never brewed beer you will grow to love beer even more, or if you are a veteran in making beer, brew something new or make beer with someone who never has! Beer making kits are easy to come by and are inexpensive, and this is a fabulous resolution to make. There are more beer related resolutions to make of course, but these should all make your 2015 a little better, and include more beer in your life, which of course is never a bad thing! 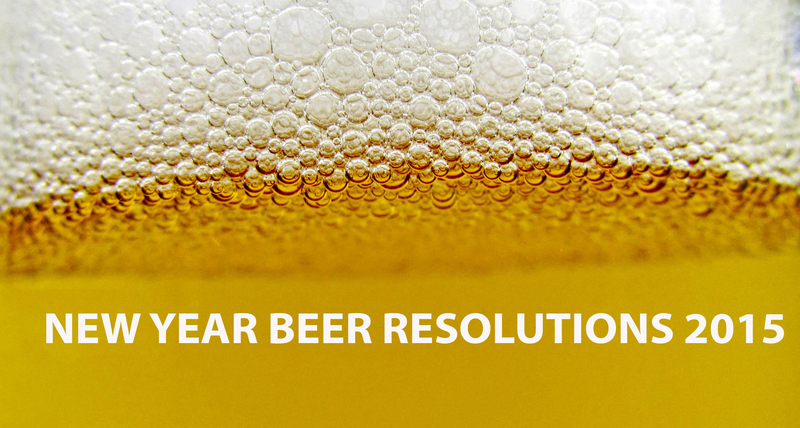 Have a beer related resolution you are planning to make? Share so others can put it on their list! This entry was posted in MBEC Insights and tagged beer, beer lover, craft beer, Craft Beer Show, Craft Brewing, gifts, reading, resolutions. Bookmark the permalink.